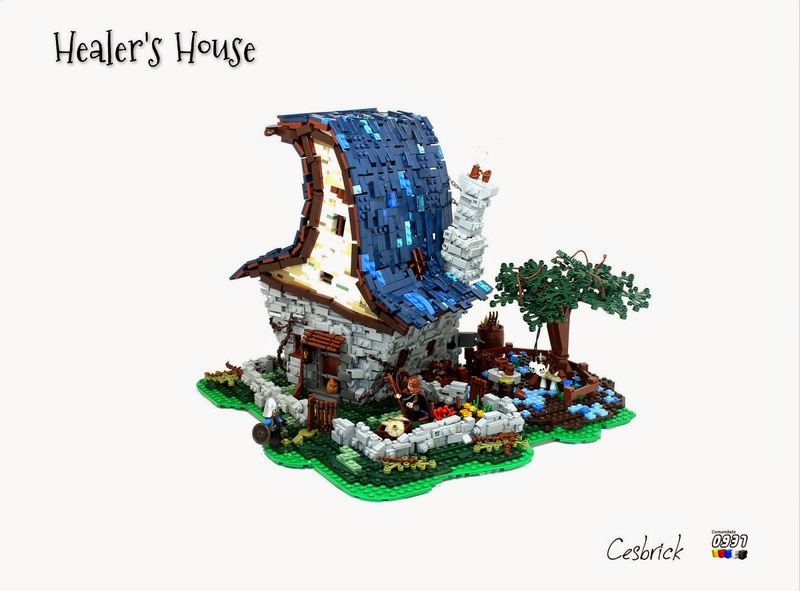 Flickr member and LEGO Fan César Soares a.k.a. 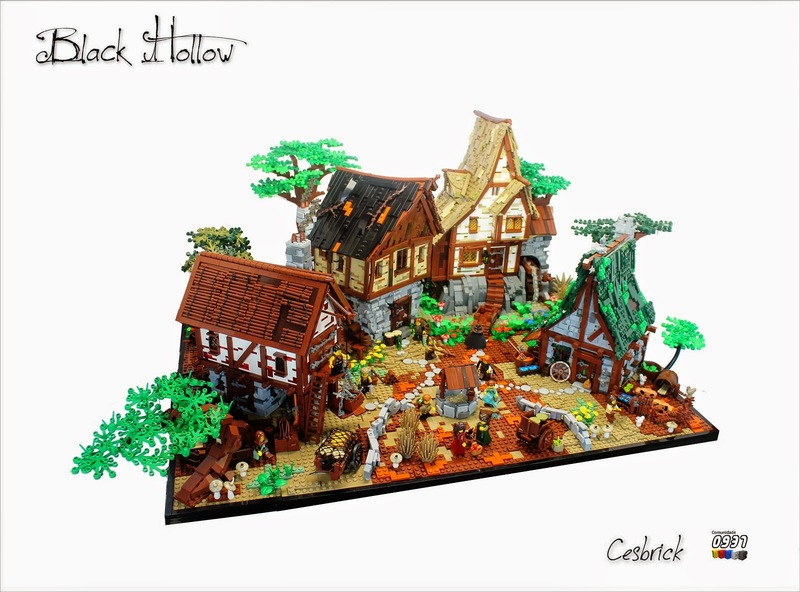 Cesbrick shared these magnificent medieval buildings (cottages, tower, tree-house, windmill, etc...) created for this years CCC contest in his Flickr account during previous Month. He have built at least ten MOC's like these ones and each of them are really high quality. Especially the modelling on the roofs and details on the structures and terrain are incredible. His dioramas are full of action and minifigure posing is also very well done. Check out his Flickr galleries to explore more of his amazing works. Unusual shaped blue colored roof makes this house extraordinary. Colorful dioramas full of details makes the creations even more exciting. 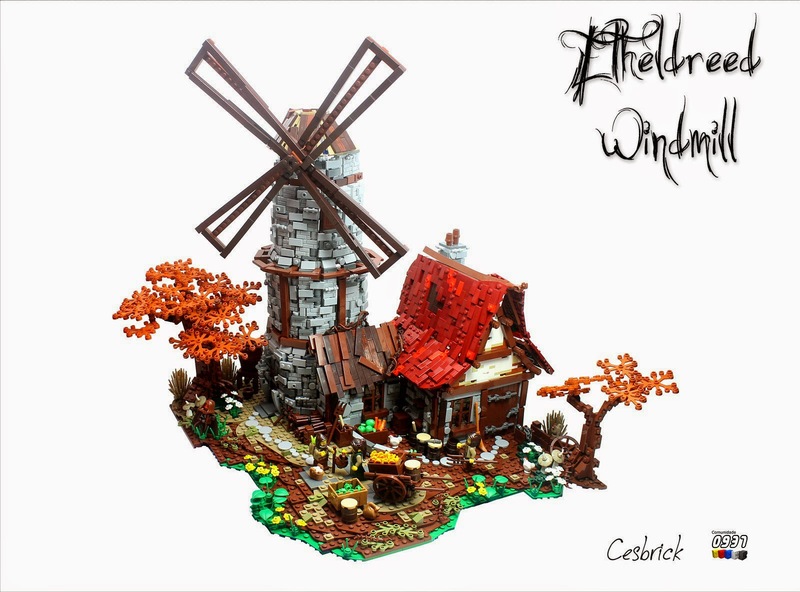 The windmill built in a round shape and beautiful texturing looks great by its own. Happy New Year! MOC Compilations from 2014!